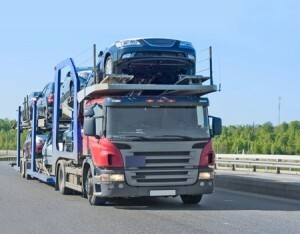 car shipping misconceptions | Car Couriers Inc. Many of us will have to move our cars a long distance at least once during our lifetimes. Using Car Couriers is wonderful because it is easy and convenient, and takes one concern out of the many that are generated by having to move. But there are several myths surrounding the use of car couriers and they should be addressed. It is not necessarily true that it is cheaper to ship from “terminal to terminal” rather than from door to door. A lot depends on the distance the carrier is going to have to travel and the amount of fuel that will be necessary. If you ship from one terminal to another, the terminal receiving the car may charge you a lot to house it until it can be picked up. In this case, door to door service is the best way to go. And it is much more convenient. But if your “door” is in a remote area, you may do better using a terminal. It is not better to speak directly to the trucking company than to deal with a transport broker or agent. What you want when shipping your car is good customer service, and a contract prior to agreement. Shipping companies usually have no department for customer service, if you have questions and concerns, and brokers and agents will address your needs very well. They also have more connections to reliable and cost-effective couriers, and you are more likely to find someone who can do what you need to be done if you go through them. You do NOT have to remove your hubcaps before transport. You don’t have to do anything to your car to have it shipped. Just be sure to not include any items inside it, like clothes, books, etc. These will not be insured against loss or damage. Do not look for the cheapest deal. You want to find a carrier that is responsible, will give you an entire quote – including surcharges – ahead of time, and will deliver your car safely and on time. Be wary of all “deals” and do your research when looking for a carrier. A quote that is either too low or too high needs to be investigated. Distance is not the only factor when determining your fee. The ease of drop-off is also a consideration. If you live remotely or up a mountain, you will be charged extra. Expect it. Online quotes are not 100% reliable. It is always better to actually speak to a live person and get a customized quote, one specific to your needs, than to makes a commitment online. The bottom line is to do your research and read all the fine print. Make sure there are no miscommunications and that your needs are completely understood. Your car is an important part of your life, and you want to ensure its safety and timely delivery.